This is a wonderful interview of Phenomenon Mentalist Ehud Segev (from NBC Phenomenon). This interview with Montel William AND Sylvia Brown (YES, Sylvia Brown!) took place after Ehud premiered his one-man-show "ANOMAL" off-Broadway in the America Theater of Actors in New York City. This phenomenal show received great reviews because it was a combination of a theaterical experience with a mentalism show. 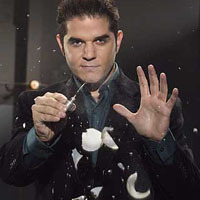 Phenomenon Mentalist Ehud Segev also performed in the Israeli version of "The Phenomenon" - called "Ha Yoresh" (or "The Successor") with Uri Geller. 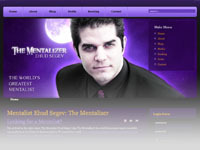 Now he is performing in NBC's Phenomenon with Uri Geller and Criss Angel.